Forget cookie-cutter tools that never live up to their “best fit” promise. Vox offers comprehensive, fit-for-purpose video conferencing solutions that are customised to your specific needs and environment. Whether it’s for your conference room or call centre, an operations hub or an entire building, we offer modular and scalable AV solutions, designed by certified Vox solutions architects to assess, plan and implement a solution for your needs – ensuring maximum functionality with minimal expenditure. We can build it. 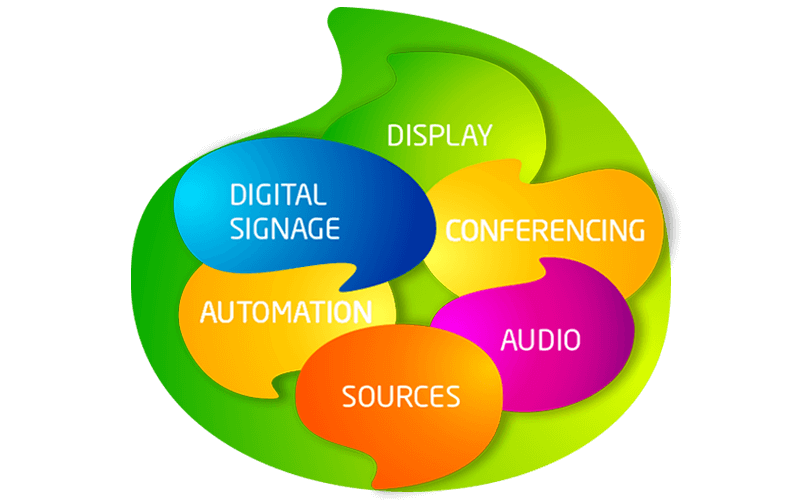 Distribute any source to any display; displays for large venues; digital signage; video, telephonic or data conferencing; large venue amplification; distributed audio; and much more. Clients can expect a simple, intuitive user experience and reporting, as we integrate the designed solution into a single graphical interface for complete control. Vox clients have the full backing of our certified installation teams, on-site servicing and repairs, and high-level support around the clock every day of the year. We also offer fully managed services including continuous, remote network monitoring, conference concierge services, and comprehensive service level agreements. Do I need to give you my full hardware specifications? No. You only need to supply us with your functional requirements and we will do the rest. Can I book a meeting to discuss my requirements? Yes. Vox will ensure a specialist meets with you to determine your exact requirements. I have a unique requirement. Can you help me? Vox offers customised solutions for your individual needs. Full boardroom control, display, video conferencing, etc. can be added to enable a fully integrated boardroom environment.